Every Irrigation Craft station is a custom built project that directly fits the user’s application. Here are some work in progress pictures of a twin 25 HP with a 10 HP jockey triplex. 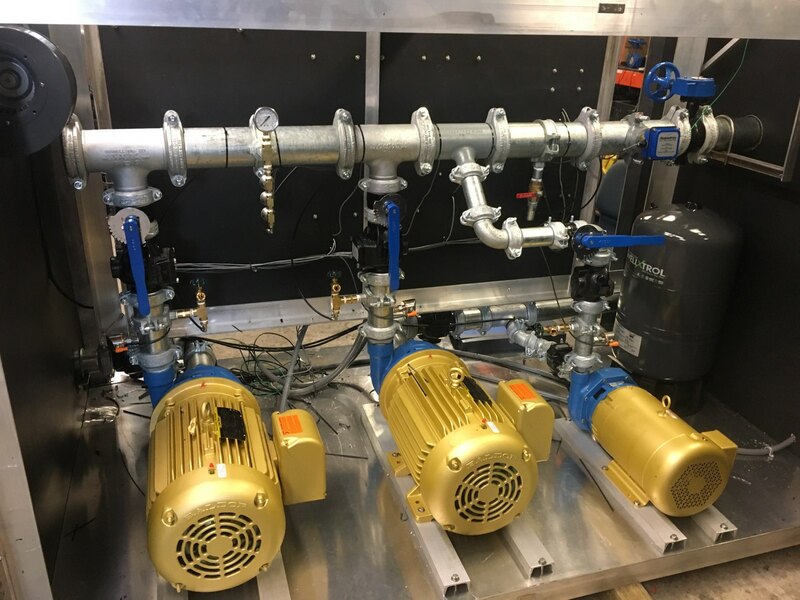 Complete with flow, temperature, high pressure, prime, and rapid cycle alarms. 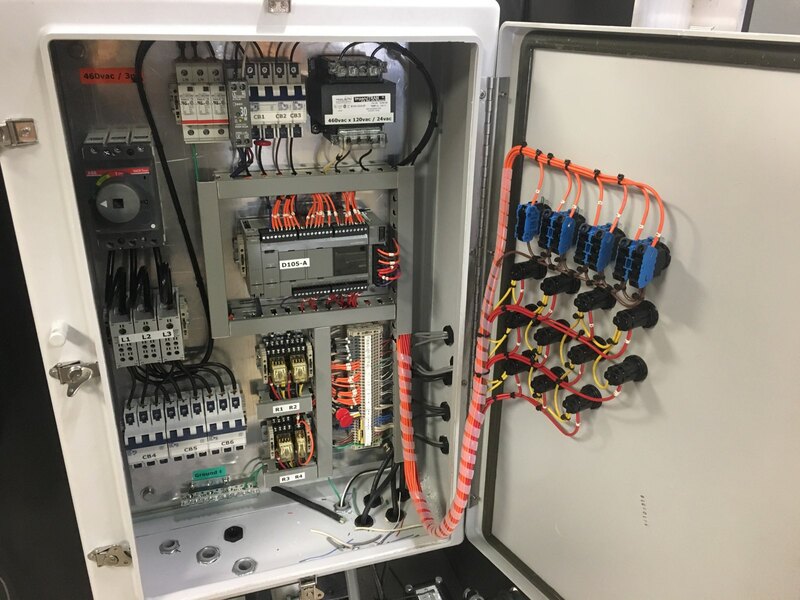 This project also features full VFD control indexed to system pressure. We are UL listed and build all of our electrical control panels. 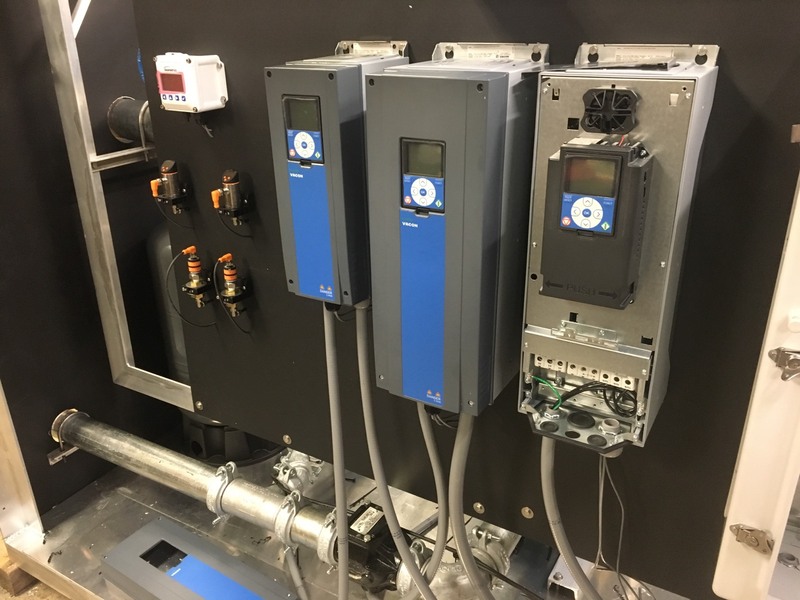 Custom PLC programming and inputs allow for any monitoring application needed. A custom welded 6063-T3 aluminum frame with HDPE side panels ensures that your equipment is kept safe from the elements and that the enclosure WILL NOT fade or deteriorate with age, as other competitors fiberglass enclosures do. Irrigation Craft makes no exceptions on quality and longevity. Irrigation Craft has manufactured these stations since 1987 and has installed many internationally. Copyright © 2019 Irrigation Craft | Site by Digital Presence.